And here we go again. I'm gonna have less to say this time, probably. Enjoy. Or if you don't know what I'm talking about? Don't worry about it. You're going to see a drastic change in art styles soon. Bare with it. We're replacing the old comic..
Whoops yeah I think I won't be saying as much this time either hmmm. Man it is wacky to see someone else drawing my cover. Max and Darren are so much better than I ever was gosh. I really like how this cover turned out, although I think I could have done a bit better with Tom's lighting. 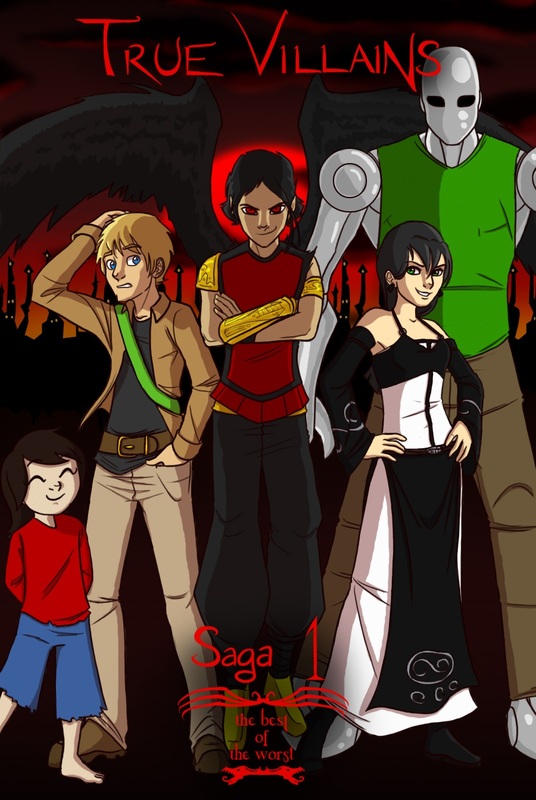 I'm also curious about which coloring style people like better, this more celshaded style or the style I did on the saga 5 cover.